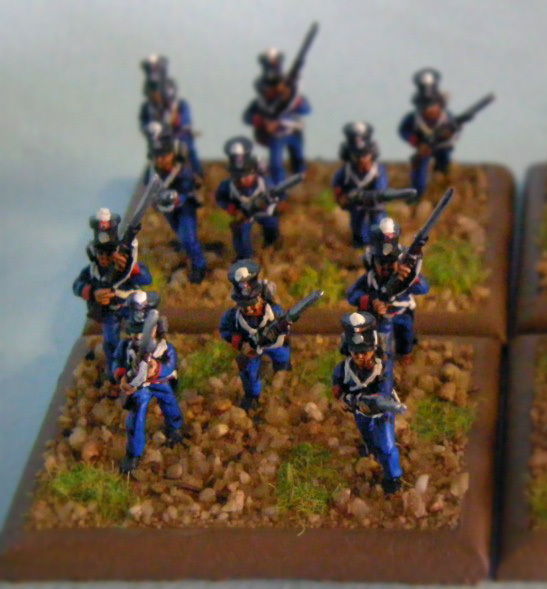 Chile Infantry (Fusileros) [CI-01] - $7.20 : Grenadier Productions,, Home of Liberators! 12 figures in 4 poses; Fusileros (fusiliers) in short coats and shako. 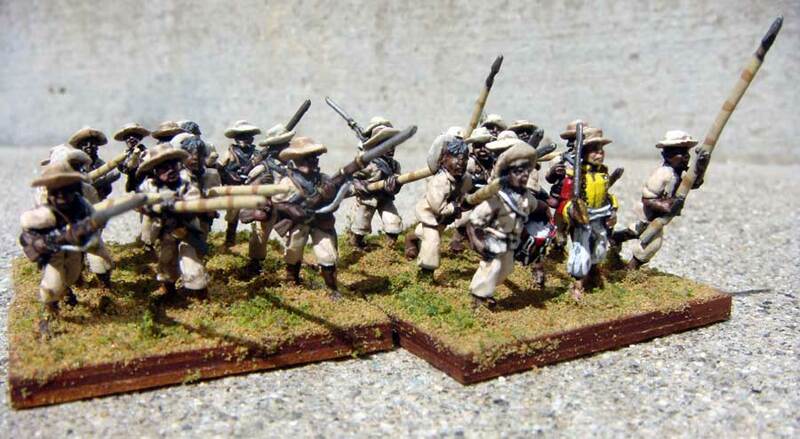 Use these figures to form the rank and file of your Chile infantry battalions in 1817-1823. Also known as "center companies".